Jared Leto, a dynamic American actor additionally musician, is well praised for his noble and varied acting in the movies counting ‘Requiem for a Dream’ and ‘Suicide Squad‘ as well as television dramas like ‘My So-Called Life’. He is very selective while picking the roles and his roles in the film are unique and widely acceptable. Besides these, he is singer-songwriter and director. What is Jared Leto known for? An American dynamic actor, musician, singer-songwriter, and director. His noble and varied acting in the movies counting ‘Requiem for a Dream’ and ‘Suicide Squad‘ as well as television dramas like ‘My So-Called Life’. Where is Jared Leto grew up? 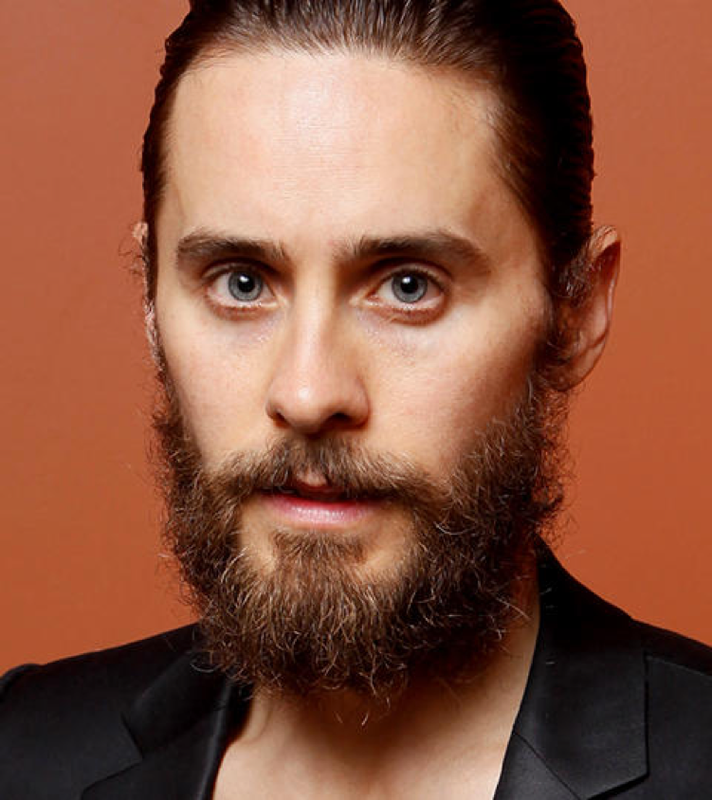 Leto was born in Bossier City, Louisiana to parents Constance Leto and Tony L. Bryant. His parents divorced when he was a child, and he and his older brother, Shannon Leto, lived with their mother and their maternal grandparents. His father remarried and committed suicide when Jared was eight. He is of American nationality. Furthermore, he belongs to a mixed ethnic background in English, Cajun/French, smaller amounts of Irish, German, Scottish, at least 1/512 Spanish, remote Dutch and Mi’kmaq First Nations. Talking about his education, Leto dropped out of 10th grade. Later, he decided to return and focus on his education at the private Emerson Preparatory School in Washington, D.C. After developing an interest in filmmaking, he transferred to the School of Visual Arts in New York City. Additionally, he also enrolled at Philadelphia’s University. When did Jared Leto pursue his music and acting career? He moved to Los Angeles in 1992 to pursue his career; he was looking for opportunities in both music and acting. He landed his first role in a cameo in the television show ‘Camp Wilder’ the same year. He played Jordan Catalano in the teen drama television series ‘My So-Called Life’ in 1994-95. His portrayal of the rebellious teen with an undiagnosed learning disability got him noticed. In 1995, he landed a small role in the drama film ‘How to Make an American Quilt’. He played the lead role in the film ‘The Last of the High Kings’ in 1996 which was a coming of age movie based on the experiences of a group of teenagers. He formed a rock band 30 Seconds to Mars in 1998 along with his brother Shannon Leto and recruited a few instrumentalists to complete the lineup. He served as the lead vocalist, songwriter, and guitarist for the band. In the 1999 drama film, ‘Girl, Interrupted’ he played the character of Toby Jacobs opposite Winona Ryder. His co-stars in the movie included big names like Angelina Jolie and Brittany Murphy. His first big breakthrough in films came in 2000 when he played drug addict Harry Goldfarb in the drama film ‘Requiem for a Dream’. He was nominated for several awards for this role. The band '30 Seconds to Mars' released their self-titled debut album in 2002. It was a concept album focusing on human struggles which received very positive reviews from critics. '30 Seconds to Mars' released their second album, ‘A Beautiful Lie’ in 2005. This album considerably differed from its predecessor in its music and lyrics and spawned three hit singles. His portrayal of killer Mark David Chapman in the biographical film ‘Chapter 27’ (2007) which depicted the murder of John Lennon was one of his most famous movie roles. The film attempted to explore the killer’s psyche. He starred in the 2009 science fiction drama film ‘Mr. Nobody’ as Nemo Nobody, the last mortal on the Earth who at the age of 118 narrates the main events in his life. The album ‘This is War’ was released by the band in 2009. It reached No. 18 on the Billboard 200. The band members embarked on an extended worldwide tour to promote the album. The band’s latest album, ‘Love, Lust, Faith, and Dreams’ was out in 2013. It was a concept album having four segments, one for each of the themes that make up the album’s name. It peaked at No. 1 on the Billboard 200. In 2014, Leto premiered the documentary series Into the Wild, which tells the story behind the concert tour of the same name by Thirty Seconds to Mars that propelled the group into areas around the world and was certified by the Guinness World Records as the longest running tour in the history of rock music. In 2015, it was announced that Thirty Seconds to Mars were working on their fifth studio album. In December of that year, Warner Bros. confirmed that Leto would play the role of the Joker in Suicide Squad (2016), a supervillain film based on the comic book series of the same name. The film opened to generally negative reviews from critics, but Leto's performance was praised despite his character's limited screen time. In April 2016, it was announced that Leto would appear in the film The Outsider (2018), directed by Martin Zandvliet. In August 2016, Thirty Seconds to Mars revealed they had signed to Interscope Records and confirmed that a new album will be released in 2017. That same month Leto was cast as the villain Neander Wallace in the 2017 film Blade Runner 2049, the sequel to Blade Runner. Leto later also appeared in 2036: Nexus Dawn, a promotional short film that takes place before Blade Runner 2049 directed by Luke Scott and co-starring Benedict Wong. In February 2018, the band officially announced the Monolith Tour with Walk the Moon, Misterwives, K. Flay, Joywave, and Welshly Arms. Thirty Seconds to Mars later confirmed America as the title of their fifth album, which was released on April 6, 2018. The album received polarizing reviews from critics and debuted at number two on the Billboard 200, becoming the band's highest entry on the chart. Is Jared Leto won the awards? Leto won the Academy Award for the best supporting actor for his role as a transgendered woman named Rayon in the film ‘Dallas Buyers Club’ in 2014. All in all, he has 68 wins and 119 nominations to his name. He won the Golden Globe in 2014 and AAFCA Award in 2013. Some other award nominations that he has garnered are Bravo Otto Germany, Best Music Video Award, CFCA Award, Dorian Award, and others. Furthermore, he has won EDA Award, Austin Film Critics Award, ACCA, BFCC Award, BOFCA Award and more. Is Jared Leto dating someone or not? Jared is unmarried but dated several ladies counting Charlie’s Angels actor Cameron Diaz, The Avengers star Scarlett Johansson, Ashley Olsen and several singers like Katy Perry and Miley Cyrus. For now, he is connected with Russian model Valery Kaufman. He is active in doing humanity works. He is associated with several charities, prominently Habitat for Humanity. During periods of extreme physical hazards like earthquakes and tsunamis, he and his band partners create it a point to collect money and donate towards relief work. How much net worth Jared Leto assumed? Actor and musician Jared Leto have amassed a massive salary from his career. According to celebrity net worth, Jared Leto has an estimated net worth $90 million. In 2015, Leto bought a former Los Angeles Military Compound for $5 million. The house stands at 50,000 square feet and has 8 bedrooms and 12 bathrooms. How tall Jared Leto is? Talking about his body measurement, Leto has a height of 5 feet 9 inches or 175 cm. Additionally, he weighs around 69 kg or 152 pounds. Furthermore, his hair color is light brown and eye color is blue. In addition, his shoe size is 11 (US). All of Leto's tattoos are related to his band, 30 Seconds to Mars. 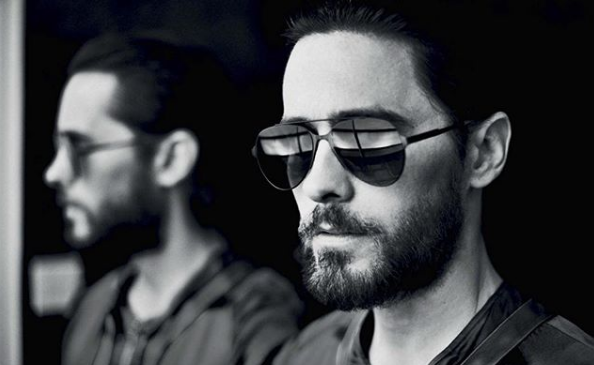 Leto began acting upon moving to Los Angeles from New York City because he felt he could get a job as a director if he did some acting first. Leto believes the future of technology will resemble science fiction.